LAT-MAP™ is a comprehensive platform designed to dynamically guide visitors to your key destinations while enriching their experience visiting your facility. Dynamically generated maps along with simple guidance instructions, in any language of user's choice, are presented to the user alongside descriptions and photos. Your visitors are efficiently guided (based on your rules) throughout the facility while simultaneously being educated on its special capabilities and uniqueness. 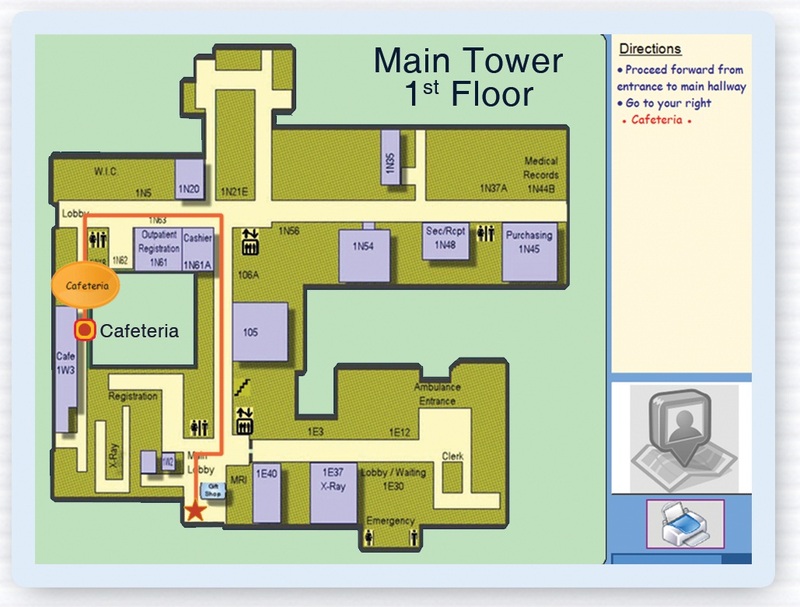 Printed maps further aid in user satisfaction, while presenting yet another "canvas" for messaging. "Increase in patron satisfaction and subsequent improvements in the HCAHPS are key motivators for implementing LAT-Map hospital-wide"
Download our 'Lite' Version to run the full system at your facility. You can load your own maps and destination points. Simple, Easy and We will show you how. Email: TRIAL@qWayFind.com to get information.